Hello, happy weekend! 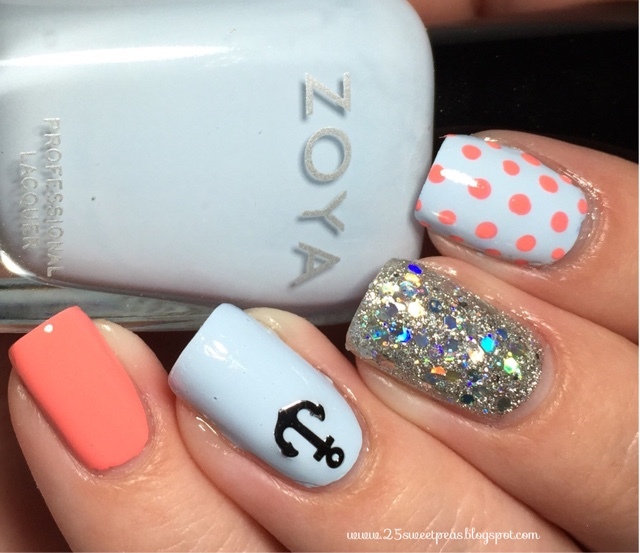 Today go you all I have another review for you with some cute little anchors from the Born Pretty Store! 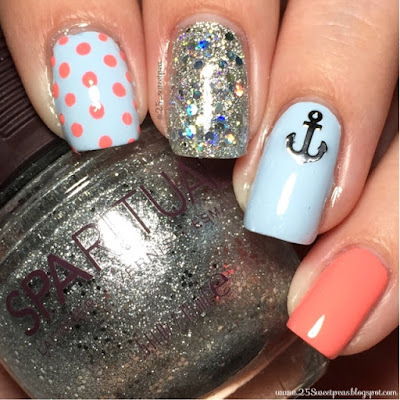 Now let's talk about the anchors! They have a nice silver finish with a right and a wrong side so when applying them you must be careful! I really love the look of them! 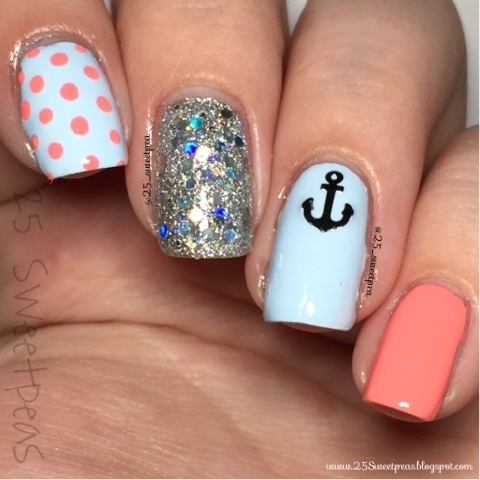 I have a weird liking for anchors! Lol!! Not even sure why. :) If you read my last review, I mentioned how the packaging was a bit difficult, same goes for these! They anchors are very flexible and when getting them out of the sticky bag it's VERY easy to deform them. I would love to see these in a zipper bag or the little round containers. :) Also when these anchors arrived they were bigger than what I had expected! Which I was actually happy about, and yet not at the same time. Due to their size you don't have as much freedom to put them on any spot of your nail. I tried it in a corner/off to the side because I was going to paint a rope on but it won't sit on that curved surface! So with these you really should plan on putting them in the center like I tried! Last night when I did these I wasn't really sure about this look but now I am liking them! What do you all think? 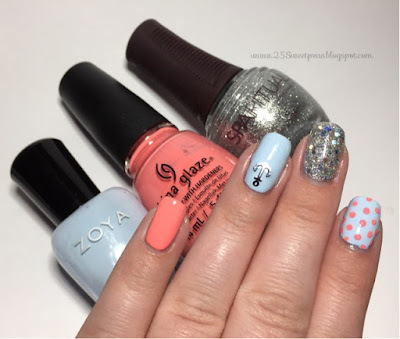 I love this glitter combination! Its mixing two of my favorite glitters. Well I really hope you enjoyed these, let me know what you all think!